Choose from beautifully designed Straight Cut Salwar Kameez online at BigBindi. We offer stunning range of Indian Salwar suits in different designs and patterns at affordable prices. Straight cut suits are sure to look most stylish and fashionable as it never goes out of fashion. Choose the one that reflects your personality and makes you look slim and much attractive. Get dressed with the beautiful collection of straight cut suits available in wide range of colors, designs and fabrics. These salwar kameez are sure to make a style statement on your every special occasion! Salwar suits have become the most loved outfit of the world. 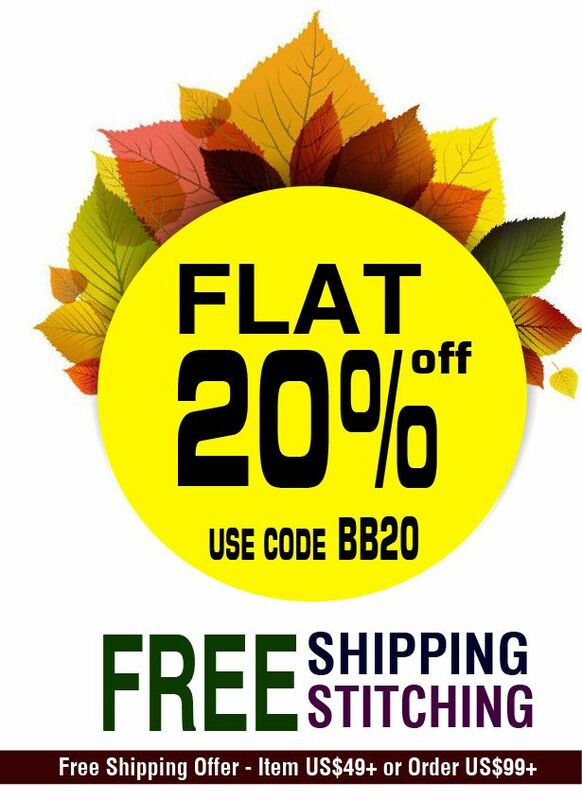 BigBindi offers an astounding collection of ethnic wear. We offer suits in various fabrics like art silk, net, brocade, faux georgette and blended cotton. We also have various types of embroideries like zari, stones, appliqué work, beads, crystals etc. Plain straight cut suit with little work on neck and sleeve paired with printed palazzo and printed dupatta look very elegant. Wearing the palazzo in the Indian summers is very comfortable. For the more fashion conscious, straight cut suits can be teamed with long skirts or lehngas. It gives the whole outfit a new perspective. You can wear this attire in traditional occasions like Diwali, wedding or Eid for a special yet different look. The younger generation prefers to wear jeggings or jeans. Fortunately, the straight cut suits can be teamed with them. You will look very stylish and upmarket. Young college going girls prefer to wear this. For the older generation who do not want to experiment with different styles, the straight cut suits work very well with salwar. 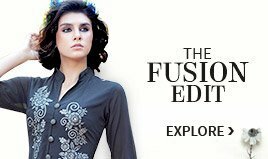 They can wear printed or embroidered shirts and salwar with a matching dupatta.